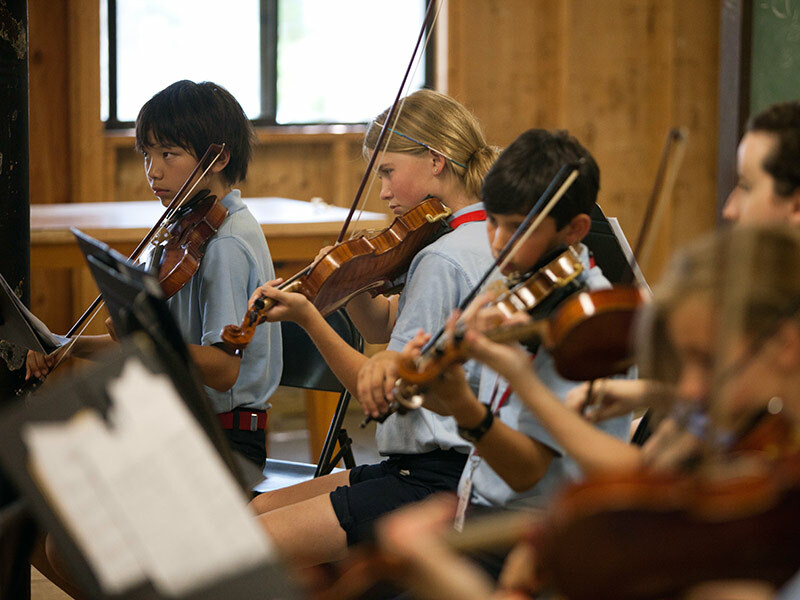 Spend your summer under the direction of esteemed conductors, tackling challenging repertoire carefully chosen for musicians in grades 6-9. 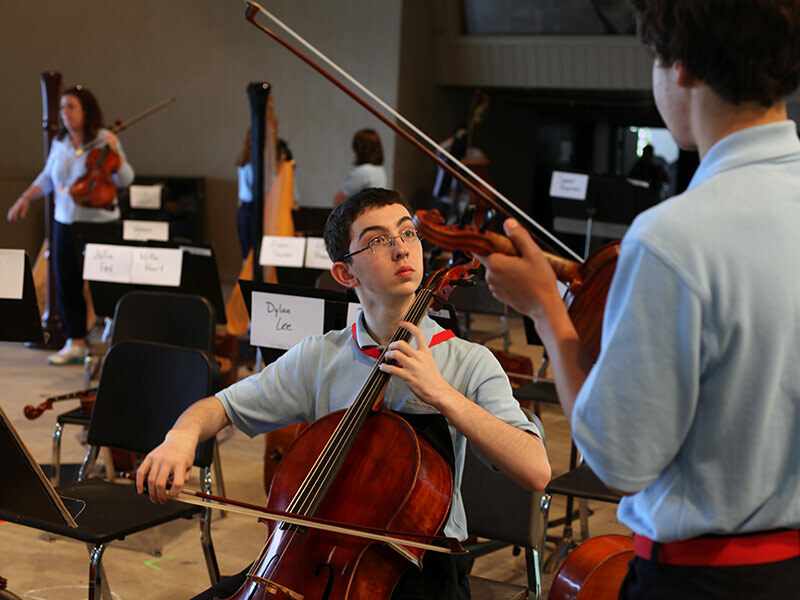 During your time here, you will grow as a musician and artist, and experience the joy of performing with fellow young musicians from around the world. 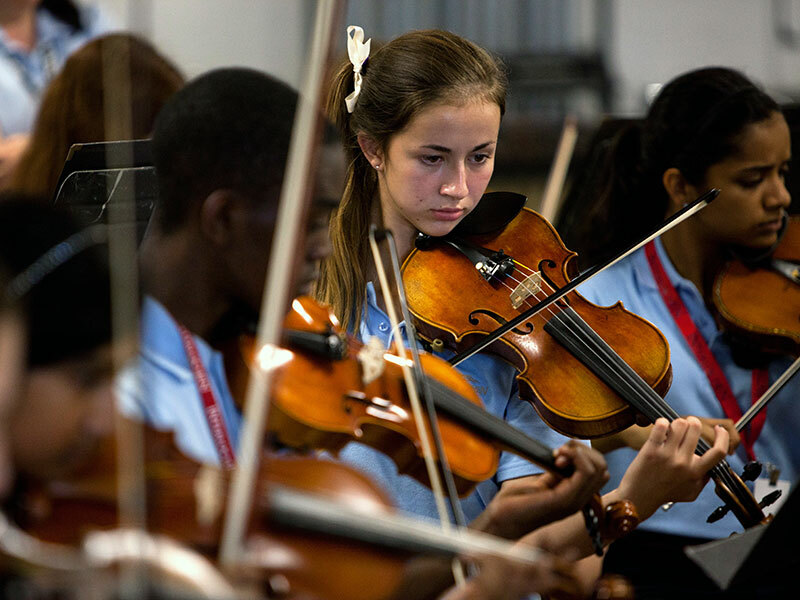 In the Intermediate Symphony Orchestra (view 2018 repertoire; 2019 repertoire coming soon) you will perform challenging, full orchestra and string orchestra repertoire. 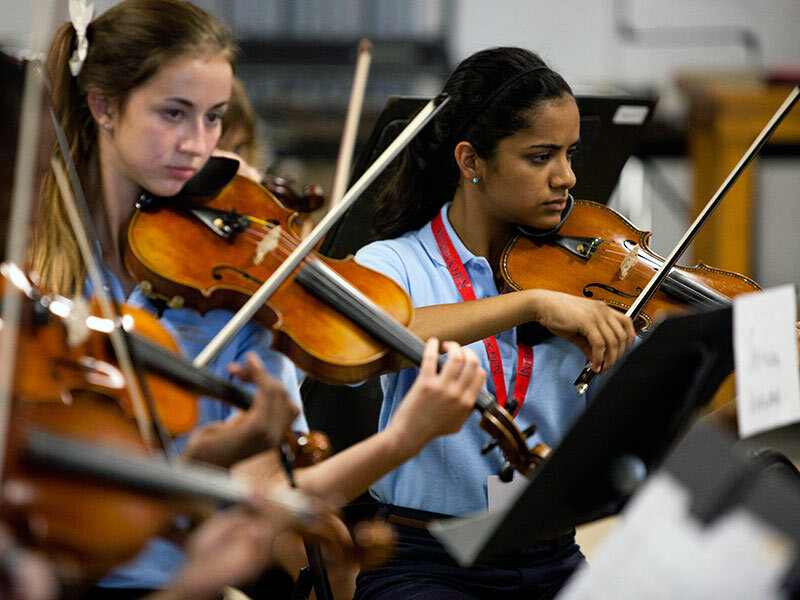 As part of the Intermediate Concert Orchestra (view 2018 repertoire; 2019 repertoire coming soon) string orchestra, you will further develop technique and ensemble skills. 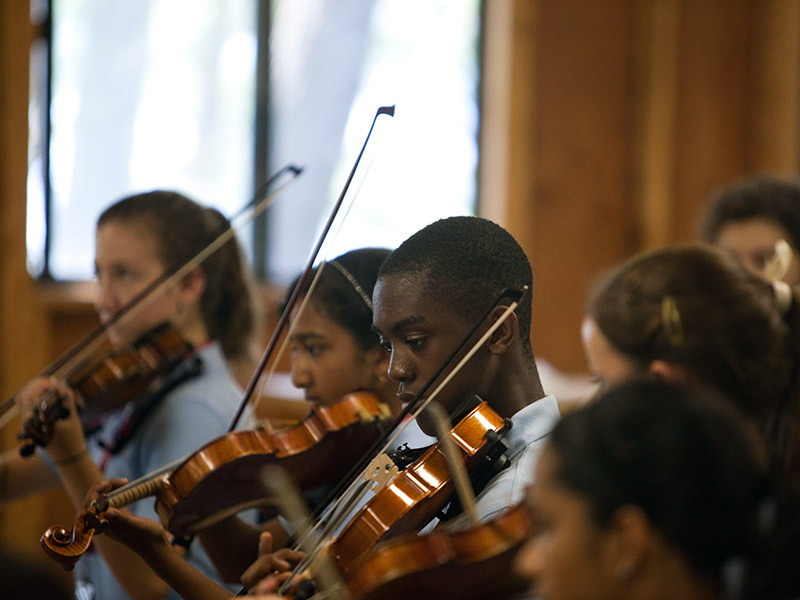 Daily orchestra rehearsals held in a three-hour block, including two sectionals per week. 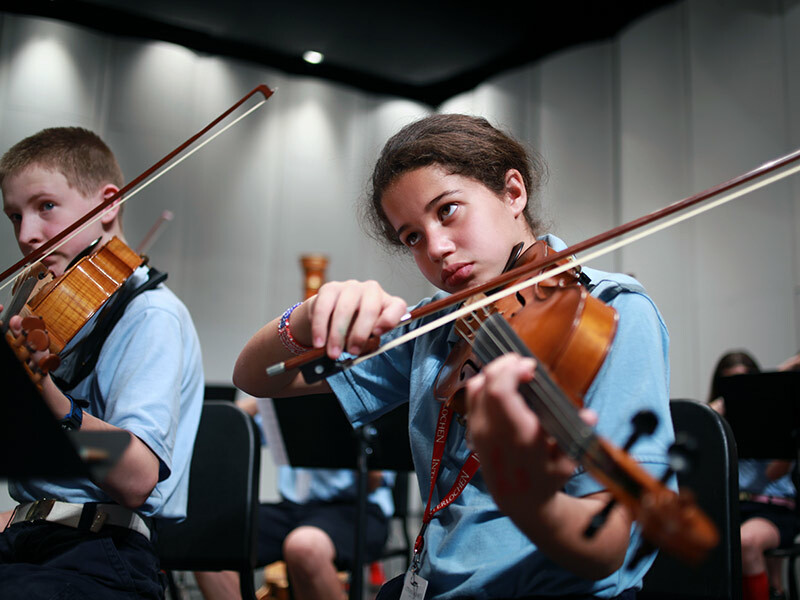 One period of chamber music/performance skills each day, which gives you a chance to work in small ensembles with coaching. 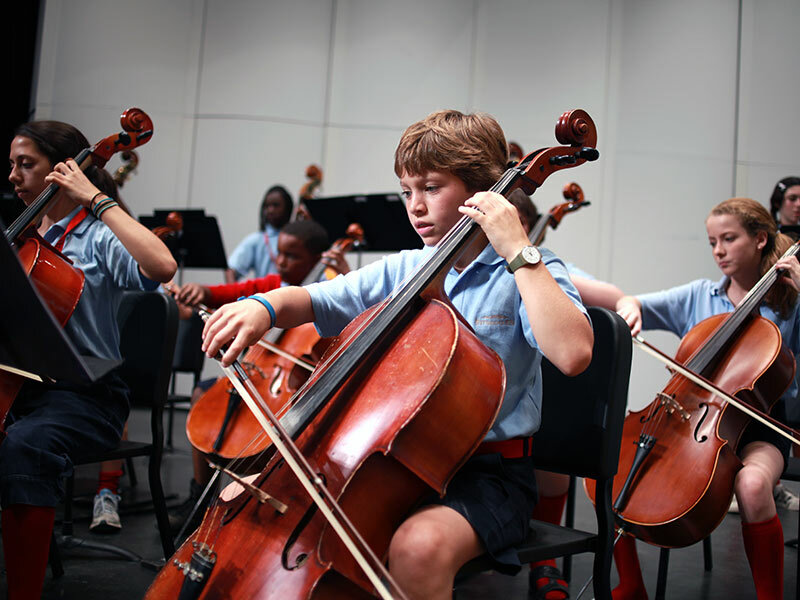 The purpose of this class is to help you to develop small ensemble performance techniques and improve musicianship skills. Those needing extra help in basic and essential skills will be given additional instruction during this period. Students are placed in groups of similar experience levels. Weekly private lessons with a member of our distinguished faculty and dedicated practice time on days when no lesson is scheduled. Audio or video files #1 and #2: Two solo works of contrasting style. There is no required repertoire for intermediate applicants, however the audition recording should demonstrate both technical and lyrical playing. Piano accompaniment is preferred, but not required. 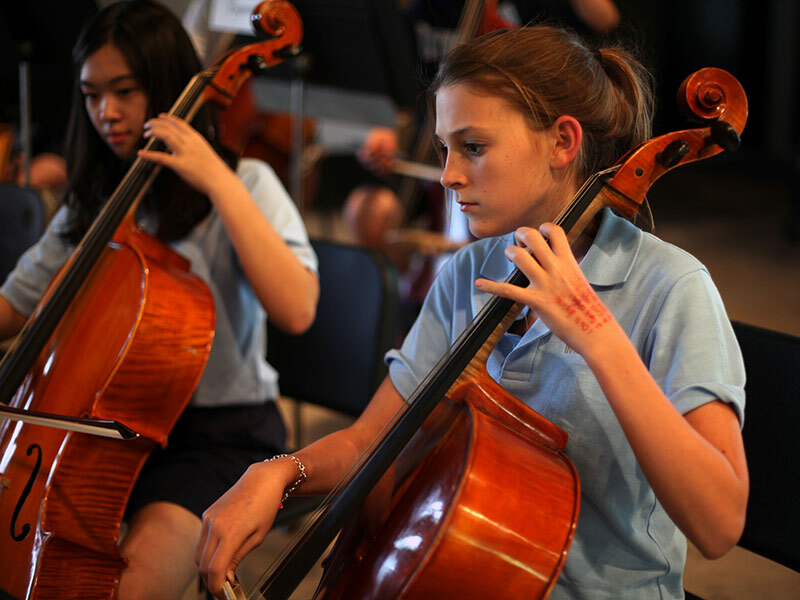 Percussionists should demonstrate their skills on snare drum, mallet instruments and timpani. Audio or video file #3: Two major scales.